Fifty years ago this month, on August 20, 1968, troops from the Warsaw Pact, a military alliance formed in 1955 between the Soviet Union and seven Eastern European nations in its thrall invaded Czechoslovakia to crush liberal reforms enacted by communist leader Alexander Dubçek in the brief era known as the Prague Spring. In ex post factum justification, the following month, Leonid Brezhnev, General Secretary if the Communist Party of the Soviet Union, expounded what became known as The Brezhnev Doctrine: “When forces that are hostile to socialism try to turn the development of some socialist country towards capitalism, it becomes not only a problem of the country concerned, but a common problem and concern of all socialist countries”. The Brezhnev Doctrine was meant to counter liberalization efforts and uprisings that had that challenged Soviet hegemony inside the Eastern Bloc, considered by Moscow as an essential defensive and strategic buffer in the event hostilities were to break out with NATO, the western alliance. In practice, it meant that bloc members enjoyed but limited independence. Any challenge to the cohesiveness of the Eastern Bloc, whether, by either threatening the communist parties’ grip on power, or Lenin forbid, actually attempt to secede, the Soviet Union assumed the authority and the power to define “socialism” and “capitalism“, and to act militarily to defend the status quo. With Dubçek detained and Prague occupied, the country was subsequently taken over by a hard-line Communist regime subservient to Moscow. In 1968 alone, 137 people were killed by Warsaw Pact soldiers, and a total of more than 400 died during an ccupation of that ended only after the 1989 Velvet Revolution, following the fall of the Berlin Wall and the collapse of the Soviet Union, when veteran dissident poet Vacláv Havel became the first and last democratically elected president of Czechoslovakia – he served from 1989 until the dissolution of Czechoslovakia in 1992 when he became the first President of the Czech Republic. The events in Prague in August 1968 are described and appraised in an recent, informative ‘long read’ in The Independent, republished below. But first, as part of a continuing chronicle of the events of 1968 in Into That Howling Infinite (see below), here are some recollections of my own. The Soviet invasion of Czechoslovakia was in many ways a seminal event in my own journeying. Until then, I was a political ingenue and a naive communist (yes, a member – the only party I have ever joined!) fellow-traveler, although my evolving perspectives were transforming and expanding as I studied the history and politics of Russia and the Soviet Union, under the tutelage of exiled Hungarian academic Tibor Szamuely. The summer’s events in what is now-bisected Czechoslovakia occurred against a backdrop of anti-war demonstrations in the US, including the Kent State shootings (“four dead in Ohio”), the assassinations of Martin Luther King and Robert Kennedy, and the tumultuous evenements de Mai ‘68 in Paris. These came as I was writing a dissertation on the Hungarian Rising of 1956 – a tragic precursor to Prague and to Brezhnev’s doctrine – and provided a pertinent background narrative and also, a coda for my story. The shock-waves of the Prague pogrom rippled through my own world the following August when I was contemplating how to spend my summer vacation once I had earned enough money on the motorway construction site to pay for my travels. I had a Czech friend – self-exiled Camille – who encouraged me to visit his country that summer and to drop in on his folks in Prague. Having completed my dissertation, I was pretty keen to visit such a historical and controversial city. So I booked a one-way ticket to Prague on British Caledonia – my first-ever aeroplane flight! It was my intention to visit the place where “Good King Wenceslas last looked out” and then head home to England via Austria and Germany. But, as they say, man proposes, God disposes. Or life is what happens when you are busy making other plans. The date I’d chosen to travel just happened to fall a year to the day of the Soviet invasion. Our turboprop plane headed east into what was still the Soviet Bloc – that had twenty yeqrs to run – and flew OVER Prague! The first we happy travellers – students mostly – knew was that we were circling to land in the Hungarian capital of Budapest. So there we were, in passport control, without visas and accommodation, our itineraries awry, amidst border officials who were wondering who the hell we were and what the f@$£ we were doing there in their portal to the Iron Curtain. Eventually, things were sorted, visas issued, money exchanged (exorbitantly, as was the way in those days), and a bus provided to take us to a Communist Party Youth hostel, bleak, spartan, and crowded with enthusiastic, gorgeous Young Communist lads and lasses. So there I was, in my first communist country. And, you know what, “they who know only England, who only England know”. I walked through old Buda and Pest, strolled by the Danube and the Sejm, the famous parliament building, walked the boulevards of my dissertation, and saw the scars of battle still there in the brickwork twelve years after the doomed Intifada of 1956. I’d heard and read about how the affluent and decadent west was an altogether different and better world than the drab, depressed and depressing cities of the workers’ paradises to our east. And yet, to my ingenue eyes, the look, life and life-style of Budapest appeared no better or worse than my Birmingham and Berkshire backwaters. Maybe it was because of my youth, inexperience, and background – maybe I hadn’t traveled enough to interpret and to judge. Apart from brief Boy Scout and schoolboy excursions into Europe-lite, Brit-friendly Belgium and Luxembourg, this was my first foray into distinctly ‘foreign’ lands with histories, cultures, governance, and world views quite different to the fields that I had known. I’d like to think that perhaps it is something intrinsically part of my software – an ability to adapt, accept, empathize, and, as far as it is indeed possible for a stranger, to become one with the scenery and slip into the machinery, and, to put it bluntly, take it all at face value. As a “stranger in a strange land”, I accepted what I saw, observed, heard and learned, moved on – to quote American beat poet Lawrence Ferlinghetti – like “a mirror walking down a strange street’. For this is how I traveled in thise roving years, leaving very little by way of words and pictures of my travelling. All I saw, heard, observed, felt and learned was mostly stashed away on my hard-drive to be accessed in latter years – waiting, perhaps, for the advent of social media, blogs and highly portable electronic devices. 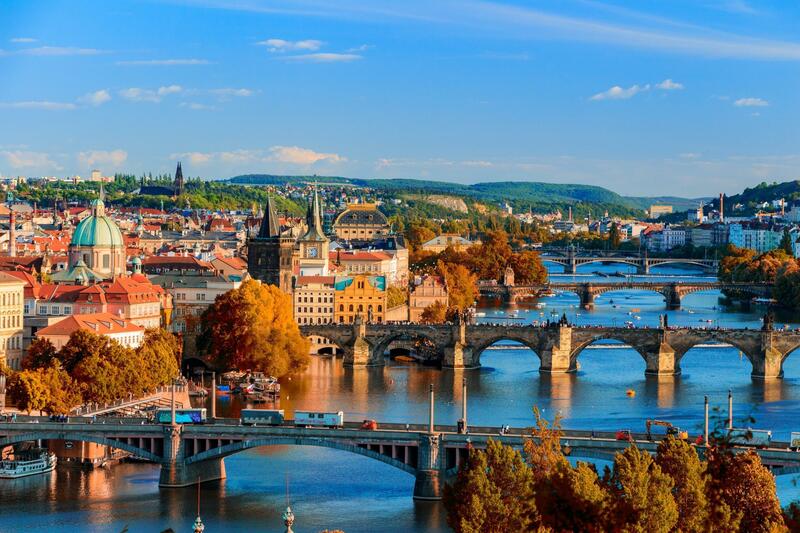 Given the circumstances of our arrival, and the atmosphere prevailing in the Bloc on the anniversary of Prague invasion, the authorities had given me a visa for four days only. I had therefore to depart the country quick-smart. 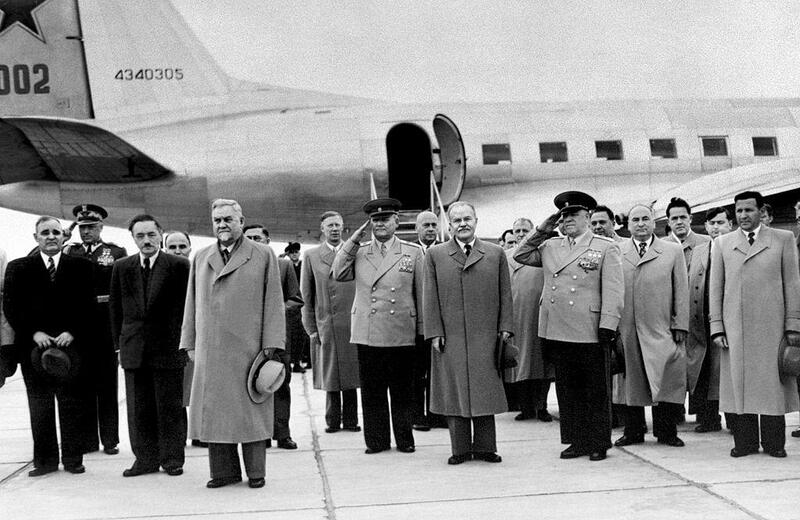 I had effectively two choices of non-Soviet countries – westwards to Austria, or south to what was then Yugoslavia. In a split second decision, I took the road less traveled – south to Szeged and the Serbian border. Wondering through the rural outskirts of Novi Sad, I was taken home by a pair of Serbian boys. I spent my first evening with their most hospitable family and slept that night on a bed of furs. “Novi Sad, Beograd” the lads had chanted, and so, instead of setting my direction home, I hitch-hiked south to the ancient Danube city of Belgrade. In the Yugoslav capital, I resolved to keep going southwards. Over the next two weeks, I transited Yugoslavia to Thessaloniki, where decided to continue with my southern odyssey – to Athens and the Greek Islands. At journeys end, I hitchhiked back the way I’d come, only this time, reaching Austria via the Croatian capital of Zagreb. You thought the leaden winter would bring you down forever, but you rode upon a steamer to the violence of the sun. And the colours of the sea bind your eyes with trembling mermaids, and you touch the distant beaches with tales of brave Ulysses. My thoughts and dreams no longer ranged eastwards. My next journey took me back to the Mediterranean, and thence, following in the footsteps of Alexander the Great – the golden hero of legend, not the “mad, bad and dangerous to know” destroyer – through the Middle East and on to the Hippy Trail to India. There and back again, to quote JRR Tolkien, so fresh in my undergraduate canon. I traveled through lands of which I knew little, picking up fragments of history and heritage, parables and politics as onwards I roamed. Through the lands of antiquity and of empire: Greece and Cyprus; Egypt and Israel; the Levant (old French for the lands of the rising sun – Lebanon, Syria, and Jordan; Iraq before Saddam, and Iran under the Shah; Pakistan and India, who went to war with each other whilst I crossed their frontiers (a story for another time); and then back to Britain by way of Turkey and the fabled Pudding Shop. I stood beside the great rivers of ancient stories – the Nile, the Jordan and the Orontes, the Tigris and Euphrates, the Indus and the Ganges. I traveled though deserts and mountains, the Himalayas and the Hindu Kush. I climbed through the Kyber Pass, immortalised by imperial endeavour and hubris, and the valley of Kashmir, a betrayed and battered paradise. I stood atop ancient stones in Memphis and Masada, Baalbek and Babylon, Jalalabad and Jerusalem. On my return, I resolved to learn more about these lands, their peoples, and their histories, and this I did. The Middle East has long-since captivated and colonized much of my intellectual life, Imbuing it with a passion that has found expression in my persona. my politics, my prose, my poetry, and my songs. In these troubled times, much of the world I once traveled is closed to the casual and the curious. I mourn for those dear, dead days when the map of the world was a signpost and not a warning. But today, I go wherever and whenever I can go, and I feel a wonderful sense of homecoming when I touch down in the bright sunlight. I get the thrill of fresh adventure when I arrive in new places with their sights, sounds and aromas. I reclaim and revel in the curiosity and wonder, knowledge and understanding, awareness and wisdom that was born back there in Budapest. And that is how Leonid Brezhnev changed my life! These are the lands of testament and prophecy, of sacrifice and sacrament, of seers and sages, of vision and vicissitude, of warriors and holy men. The spiritual and the temporal have melded here since time immemorial. We still see the remnants of ancient empires and the echoes of their faiths. We can chart their decline and fall in the fortunes of their monuments and their mausoleums, in the “tumbled towers and fallen stones, broken statues, empty tombs” where “ghosts of commoners and kings walk the walls and catacombs of the castles and the shrines”. Histories carved in stone, mysteries locked in stone, as “canyons and castles pass ageless and ageing and captive in time”. Forward to East – An Arab Anthology. The Prague Spring: 50 years on what can we learn from Czechoslovakia’s failed attempt to reform communism? Czechoslovakia had dominated news bulletins throughout the summer after its premier, First Secretary Alexander Dubcek, had begun reforming his communist government’s structures earlier that year. 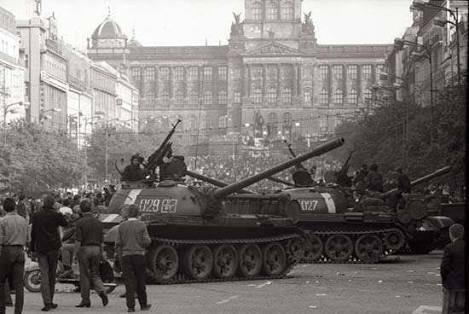 But now, what had become known as the Prague Spring, or Dubcek’s “socialism with a human face”, was lying crushed beneath the tank tracks in Wenceslas Square. The Soviet Union feared its grip on the satellite states of eastern Europe was loosening and its patience had finally run out. Czechoslovakia and Dubcek had fallen foul of USSR leader Leonid Brezhnev’s eponymous doctrine, espoused retroactively in justification the month after Warsaw Pact troops took to Prague’s streets: “When forces that are hostile to socialism try to turn the development of some socialist country towards capitalism, it becomes not only a problem of the country concerned, but a common problem and concern of all socialist countries,” Brezhnev said. Soviet forces, alongside those of Poland, Hungary and Bulgaria, crossed the Czechoslovakian border at 11pm on the evening of 20 August. East Germany withdrew at the last minute when it was realised that, just over two decades after the end of the Second World War, the presence of German troops on Czech and Slovak soil could lead to unintended repercussions. The following morning, the foreign soldiers were in the capital, offering fraternal support to loyal comrades in Czechoslovakia. Soviet tanks had intervened in post-war eastern Europe before. Towards the end of October in 1956, Hungarians revolted against their Marxist-Leninist government and declared a new administration, withdrawing from the Warsaw Pact and disbanding the communist-run state security apparatus. But barely two and half weeks later the western world watched aghast, but impotent, as Soviet forces entered Budapest to restore one-party rule. Yet there had been real hope that Czechoslovakia could be different. 1968 was, of course, a year of revolution and political protest across the planet. But the Czechoslovak version was in many ways a rather gentler form of dissent. Dubcek had never set out to overthrow communism, merely to reform it. The nation’s planned economy had been in decline throughout the 1960s. Dubcek had replaced previous first secretary, Antonín Novotný, in January 1968 and had attempted to liberalise communist party rule by tolerating political institutions and organisations not directly controlled by the party. Even multi-party government was mooted. More repressive laws were loosened, travel was made easier and freedom of expression, especially in media, accepted. Unwittingly though, Dubcek had created either a vicious or a virtuous circle, depending on one’s political viewpoint. Reform emboldened progressives and led to demand for further liberalisation. Dissidents, especially students, but also the wider population in numerous Soviet satellite nations, began to push for similar freedoms. Conversely, communist hardliners in Czechoslovakia and other Soviet client states feared a loss of power and urged Dubcek to pause. 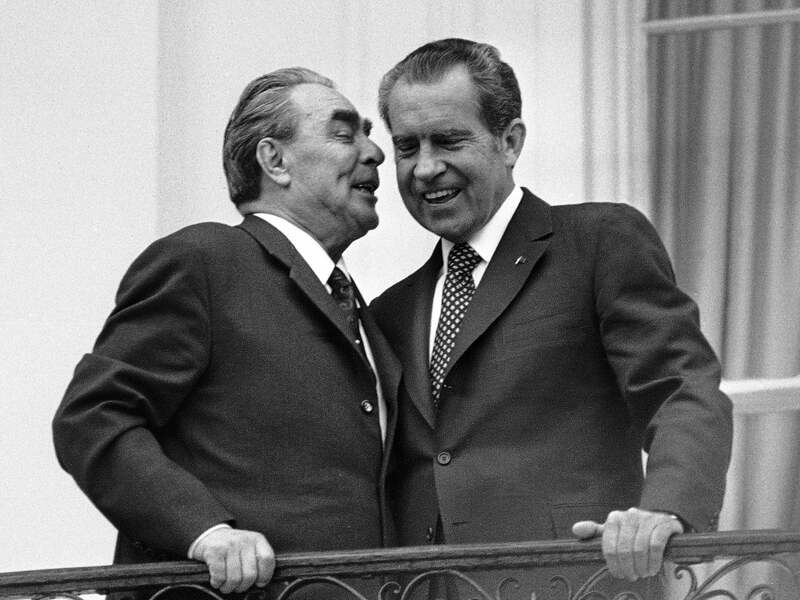 Brezhnev and the Soviet politburo were starting to take notice. Yet in meetings with Soviet leaders Dubcek believed he had convinced them of his loyalty to the communist cause and that his domestic reforms were not challenging the hegemony. He was wrong: 2,000 tanks and a 250,000-strong Soviet-led force of men invaded on Brezhnev’s orders; 137 Czechoslovak civilians were killed resisting; and, pleading with his citizens not to fight back, Dubcek was flown to Moscow. 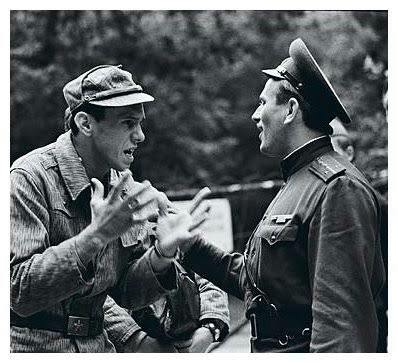 Some citizens used the power of argument to voice their opposition, engaging troops in discussion to make their point – until photographs were used in Soviet propaganda to suggest the locals were making friends with the invaders. Dubcek returned as little more than a puppet of the Soviet regime and was replaced early in 1969. Half a million of his supporters were expelled from the Communist Party. The members of Nato, especially the United States – already involved in conflict in Vietnam and aiming to broker a disarmament agreement with the Soviet Union – condemned the invasion but had no intention of intervening. In the aftermath, 300,000 Czechoslovaks, many highly qualified, emigrated to the west, although the authorities soon clamped down on their ability to leave. The period between 1969 and 1971 is known in Czechoslovak history as the era of “normalisation”. The country returned to the Soviet fold; opposition both within and without the country faded; and the Communist Party returned to the hardline position it had held before the onset of the Prague Spring. So, 50 years later, what does the anniversary offer today’s Europeans still struggling with political upheaval and, certainly in the east of the continent, getting to grips with increasingly nationalistic, repressive governments? Apart from the sense of betrayal felt by Czechs and Slovaks, both towards their own government and their supposed allies, and the reminder that totalitarianism brooks no dissent, are there lessons to be learned from the Prague Spring; and what became of Dubcek, its architect? Unsurprisingly the legacy is complex – as legacies are wont to be. Perhaps the key to understanding Czechoslovakia in 1968 is that, unlike similar uprisings against the establishment, both in communist Europe but also elsewhere around the world – witness the Arab Spring of 2010 and 2011 – the Prague Spring was not a movement of only liberals, students (among other young people) and political intellectuals fighting a conservative establishment. It had wider cross-generational support drawing on the strong traditions of democracy that had developed in Czechoslovakia between the two world wars, after its formation in 1918. Czech-born writer Milan Kundera, author of the Unbearable Lightness of Being, who lived in exile in France from 1975, argued that it was a movement falling back on the “best traditions” of Czechoslovakia’s brief history: a “higher quality of democracy not based on the ills associated with capitalism”. By contrast, the later revolutions that would finally overthrow communism in Europe at the end of the 1980s were driven as much by the “victory” of Reaganism, free-market economics and monetarism as they were by the right to vote freely and express opinions openly. It has become fashionable, with hindsight, to blame the suppression of the Prague Spring on “communism”. But let it not be forgotten that it was fervent communists who were carrying out Czechoslovakia’s reforms. Whether the Prague Spring was a “purer” revolution than those that followed is probably an argument for political ideologues alone, but a glance across the border towards Viktor Orban’s Hungary shows that the spoils of the “freedom” won in 1989 might not always manifest themselves with good intent. It was the culmination of a number of apologies from Warsaw Pact nations throughout 1989 and it seems reasonable to argue that there was a direct link between these acknowledgements and the overthrow of communist governments in East Germany, Poland, Romania and, most poignantly, Czechoslovakia, that same year. Protesters realised that their actions would no longer lead to Red Army interference, and the Soviet bloc of eastern European nations had replaced their communist rulers within months of one another. Perhaps 1968 showed us, if 1956 had not already, that the post-war façade of communist interdependence, internationalism and fraternal allegiance was broken, if indeed it had ever been more than a charade at all. The alliance was built on flimsy foundations and maintained by suppression. Czech historical novelist and writer Ivan Klíma has said that – for good or ill – the most important legacy of the Prague Spring was the delayed but ultimate destruction of the international communist movement. But warnings must still be heeded. In a world where a nationalistically invigorated Russia under Vladimir Putin increasingly looks beyond its borders for a bulwark against Nato and the EU, the demise of communism and the Warsaw Pact does not mean a concurrent diminishing of militarism: the annexation of Crimea by Russia has shown us that very clearly. And – even putting aside the Brexit debate – illiberal governments in Slovakia, Poland and Hungary threaten to overturn the European Union’s free-market liberal consensus. The threat, while changed in ideology, still lurks. And what of Dubcek? After he was ousted as first secretary he worked for the forestry service near Bratislava, in his native Slovakia. 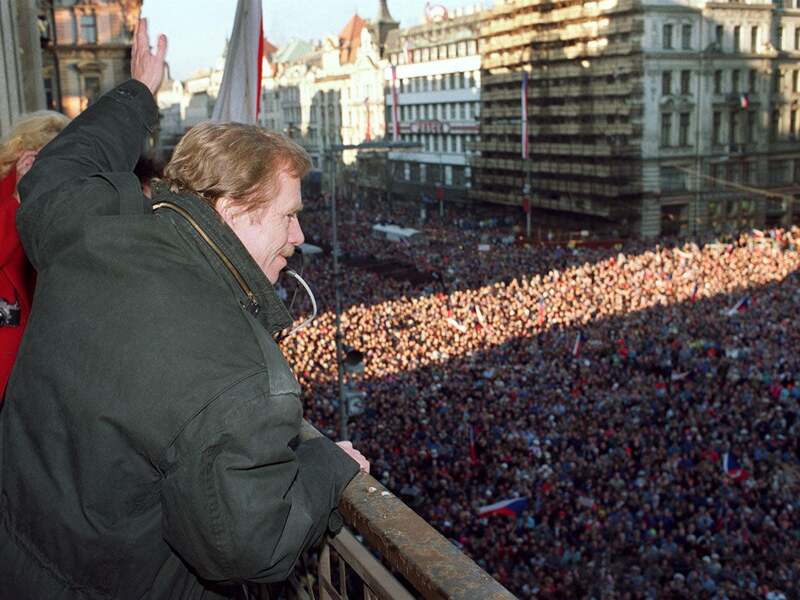 And after the final overthrow of communist rule in Czechoslovakia’s Velvet Revolution of 1989 he briefly returned to political prominence as chairman of the Czechoslovak Federal Assembly, and later as leader of the Slovak Social Democrats. He divides those of his compatriots who thought he was a decent man wronged and those who think he was naïve. For right or wrong, however, Dubcek had in truth become more or less a political irrelevance by the time of the Velvet Revolution. Václav Havel, the poet and statesman who played a prominent role in the events of 1989 and became Czechoslovakia’s first post-Soviet era president, said: “Dubcek is a symbol of our nice memories, but nobody thinks he can influence the situation now.” Dubcek himself rarely spoke of 1968. Although a Slovak, Dubcek was opposed to the 1993 split between the Czech Republic and Slovakia and maintained his belief in the idea of a single, united nation. He was killed in a car crash in 1992, declared in an official investigation to be an accident. Conspiracy theories abound and even today 50 per cent of those Slovaks who know of him believe his death was almost certainly not an accident. The crushing of the Prague Spring continues to echo down the ages, its eventual legacy yet to be determined.